TAMING DARKNESS by my good friend, Kat Daemon, is born into this world today!!! If you like paranormal stories or angel stories or stories in general, you will LOVE Taming Darkness. My full review will post on my stop on the blog tour (March 15th!) along with a special guest interview! You don't want to miss this. 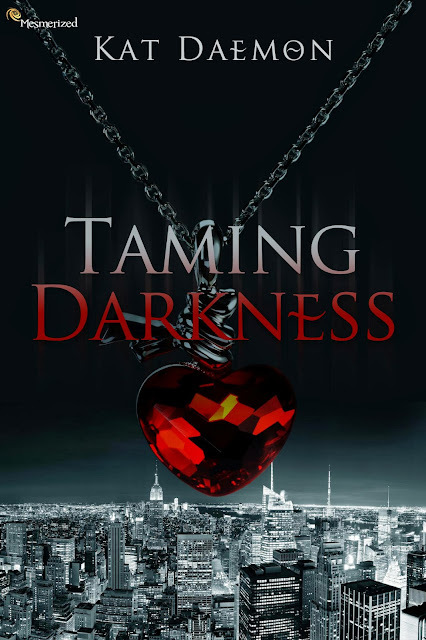 Here's a schedule of the Taming Darkness blog tour. Quick! Go add it to your Goodreads!